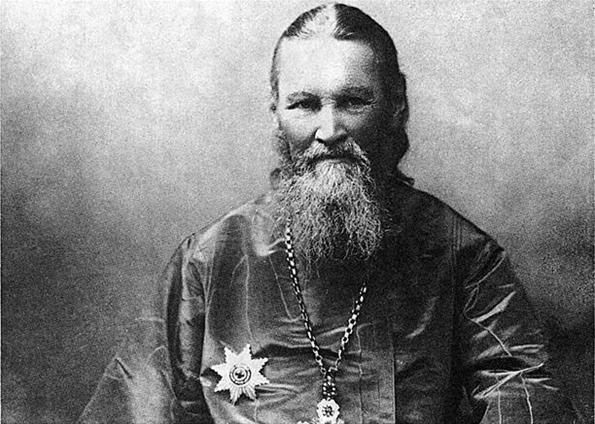 Today the Russian Orthodox Church commemorates St. John of Kronstadt. We offer you an excerpt from the sermon on the fortieth day after the decease of Father John of Kronstadt by the New-martyr of Russia, Metropolitan Seraphim Chichagov, who, in the course of thirty years, was a spiritual son of the All-Russian pastor. When Father John prayed, he tried in general to pray more for all the faithful than for himself alone, not separating himself from the believers and being in spiritual unity with them. If he saw shortcomings in a man or any passions, he always prayed secretly for him, no matter where: while serving the Liturgy, whether en route somewhere or in conversation. When driving along the street and seeing wanton people, he would at once raise up his heartfelt prayer to the Lord and cry: “O Lord, enlighten the mind and heart of this Thy servant; cleanse him from defilement!” – or with other words from the psalms more appropriate to the given person. He would not let an occasion pass to pray for a man at someone’s request; he rejoiced at such a request, considering that prayer for others is good also for him himself, because it cleanses the heart, confirms faith and hope in God, kindles love for Christ and one’s neighbor. Father John prayed according to the faith of the petitioners in his prayer and never ascribed anything to himself. If he had to instruct the erring or comfort those that had fallen into despair, at the end of the conversation he unfailingly invited those present to pray together for that man, sincerely realizing that one cannot correct the shortcomings of others by words alone, but one must obtain God’s help and power by prayer. A characteristic of Father John’s prayer feat lay as well in the fact that he, with unusual attentiveness, watched the heartiness of his prayer and would at once stop it for a time if he realized that the prayer was becoming only external, mechanical, so to say. He would exercise himself in the movements of his heart at prayer and thereby confirm that characteristic of his spirit of which I spoke at the beginning. Considering prayer that is only mental or superficial to be an affront to God, Who calls mankind to Himself by the words: “My son, give me thine heart” (Proverbs 23:26), Father John taught that it is good to render obedience in all things to Mother Church, to read the long prayers appointed by the Typicon and akathists; but one should do this with good sense, and whoever can accommodate lengthy prayer – let him accommodate it; but if this lengthiness is incompatible with fervor of spirit, then it is better to make a short prayer, for as the Holy Apostle says: “The Kingdom of God is not in word, but in power” (I Corinthians 4:20). Dear Batiushka Father John struck and sometimes shook everyone by the profundity of his prayer. On the basis of my conversations with him, I can only thus depict his prayerful state. 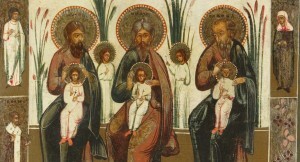 He stood before the Lord, as before the sun, and, feeling the inexpressible brilliance of the divine light, closed his eyes and manifestly perceived his being in the rays of this light, and from them – warmth, joy and closeness to Christ the Saviour. 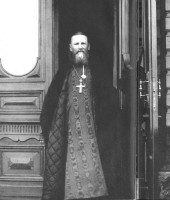 During prayer after communion of the Holy Mysteries, Batiushka sometimes felt how He, after the Resurrection, passed through the walls of the house to the Apostles, and then he received the consciousness that his invisible soul is at rest in the invisible God.